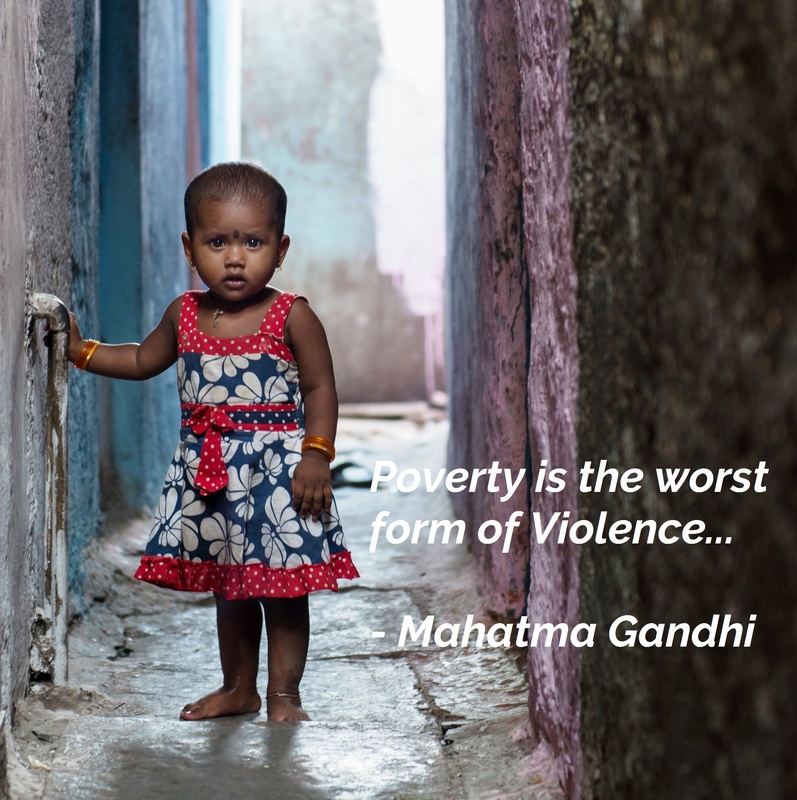 Today is Gandhi Jayanti, the birthday of Mahatma Gandhi, who strongly believed in peace and non-violence and also said that Poverty is the worst form of Violence – against humans and their Human Rights as those infected with poverty try to survive each and every moment of their lives, struggling to make two ends meet and somehow live a decent life. Every day we come see hundreds of shanties popped up on the sides of the roads, highways and even tiny narrow lanes – just a simple roof made of borrowed asbestos sheets or just plastic materials with bare essential items inside the shanties – some utensils and a pair of clothing that cannot be afforded to be cleaned every day. While some can get daily labour job, some cannot get even that and end up begging on the streets. But the immunity in us has become so high that so many of us remain unaffected with any of these sights. Mahatma Gandhi, who is one of the greatest freedom fighters and politicians this world has ever seen, also said that the future depends on what we do in the present and we at Mumbai Smiles completely agree with that! With our mission to see our megacity of Mumbai free from poverty one day, we are fighting against poverty with our multiple projects in the fields of Education, Health and Livelihood and we seek your support to help us walk on this path to a more just and equal society for all. Come join hands with us on this day as a tribute to the Father of our Nation by donating and collaborating with Mumbai Smiles Foundation. Your one step can change the lives of many, who are miles and miles away from you! Write to us at info@mumbaismiles for partnerships/collaborations/donations enquiry and take a step towards creating a better Mumbai, a better India and a better world! Next PostWinners of 8th Photo Contest declared!